Quite apart from the fact that our Lord clearly warns against any attempt to address violence with violence (Matthew 5:38-42), it is our considered opinion that school safety ultimately depends on the cultivation of a strong culture of charity – among the students themselves and between all the students and staff. More guns in schools will not prevent gun violence, they will only increase the risk of injury and death. 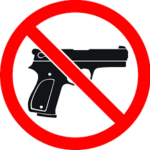 True, an armed guard might kill a killer, preventing mass murders, but to address the issue with armed guards or, heaven forbid, teachers themselves carrying lethal weapons, is to focus on effects rather than causes and leave the real problem unsolved. What we need is love and understanding so that people do not feel driven to acts of violence in the first place. What we need is effective teaching and mentoring of students in an atmosphere of kindness – something all teachers strive to provide, but for which they need constant support – from parents, counselors, the church and the mental health community. Here at the Washington New Church School we are dedicated to this goal more than anything. We know we aren’t perfect, but our relatively secure physical environment and especially our small class sizes ensure that we get to know each other very well (up and down the grades and across the board among the teachers), allowing us to cultivate positive, helpful relationships with every student, to monitor and intervene when unhealthy situations arise, and to guide students away from violent thoughts or actions. More particularly, the New Church principals that guide our educational system mandate that we take special care to provide for the students’ spiritual health and welfare. This is why we exist, and we are committed to this work as the fundamental element of student safety and success.